Carol's planting geraniums in the bathtub. 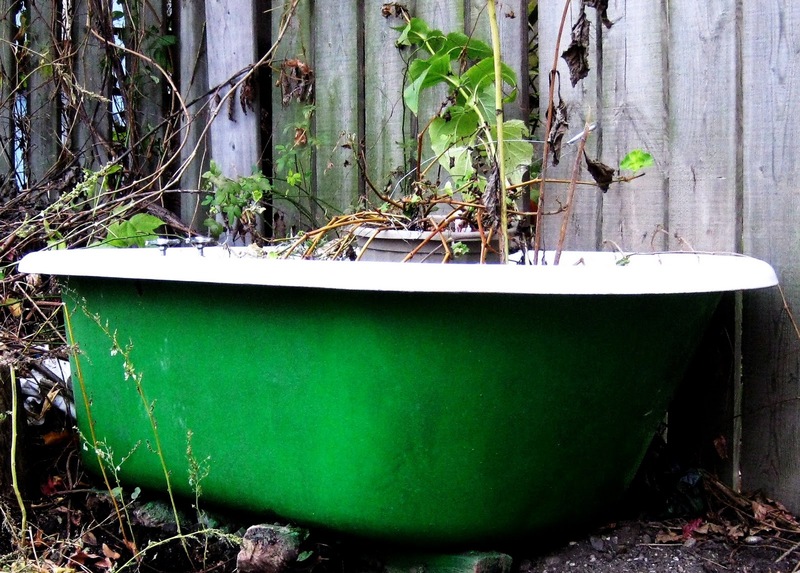 She made Larry carry it out to the garden, and then she spray-painted the side of the tub bright green. These days, Carol loves to plant things. She digs a little hole with a spade and picks up a seedling. She inhales the pungent, spicy scent of geranium. This one will have pink flowers, the others, red. She places the plant into the hole and presses the earth around it. A splash of water, and just like that, it'll grow. It's that easy. Carol's got a secret. She has that same dizziness, and soreness in her breasts. Upstairs in the bathroom garbage can is a little white stick. And on that stick, a plus sign. She looks down at her hands caked with dirt, black beneath her fingernails. On an impulse, Carol licks her finger. The soil is chalky on her tongue and tastes slightly metallic. Like blood. It's too soon to tell Larry the secret. Don't want to get his hopes up again. Carol puts a piece of dirt in her mouth and chews. She wonders about bugs. She considers that she might be going crazy. She swallows another chunk. Maybe if Carol eats enough dirt, the baby inside her will grow roots. And this time, the roots will make it stay.